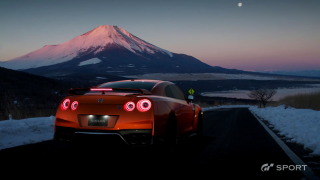 You and I won't have to contain our cravings for too much longer, as Gran Turismo Sport was also given a release date of November 16 in the US, November 18 in the UK. There are a whopping four editions coming, all of which you can pre-order starting today. The standard edition is, well, standard. Game, case, you know the drill. The Bonus Edition comes with an assortment of digital bonuses. The Steel Book Edition is the next step up, adding a (you guessed it) Steel Book to the package. Lastly, the Collector's Edition comes with a miniature model of the Mercedes-AMG GTS and a car lover's guide written by the devs. Unlike previous installments of the Gran Turismo series, GT Sport skips past consumer grade vehicles and drops right into supercar territory. You won't see any hatchbacks or sedans here - just monstrous machines, built to burn rubber. Enjoy.